I just wanted to thank you so much for hosting/instructing this workshop. It really brought your book Scolio-Pilates to life for me. 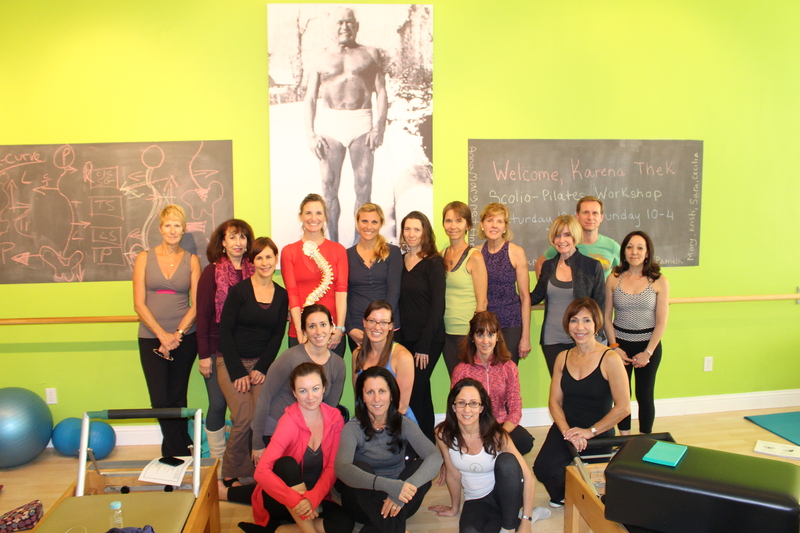 It was wonderful to have so many models and fellow Pilates instructors and Physical Therapists who were hungry to find out more about Scoliosis. Thank you too for giving me tips on how to approach my mom’s scoliosis/osteoporosis. She’ll be visiting in 3 weeks and I don’t feel so nervous about helping her. Again, thanks so much, looking forward to another workshop hopefully in the future.